Should Parents Interfere in Their Children’s Relationships? 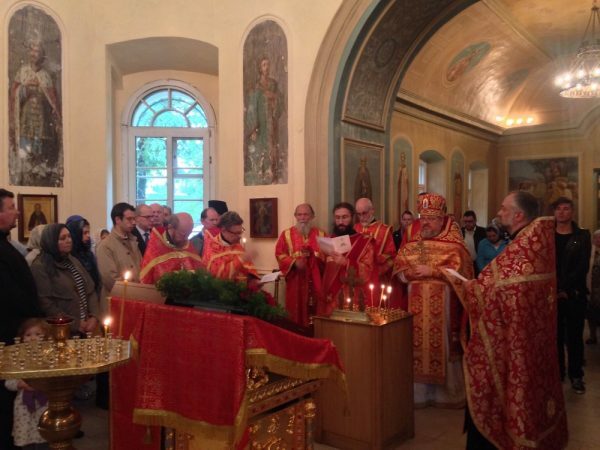 On 11 September 2016, the commemoration day of the Beheading of the Prophet, Forerunner of the Lord, John the Baptist, and the 15th anniversary of the terrorist attacks that were committed in several U.S. cities and claimed the lives of some three thousand people, a requiem service for the victims of the tragedy was celebrated after the Divine Liturgy at the Church of the Holy Great Martyr Catherine In-the-Fields, Representation of the Orthodox Church in America to the Patriarch of Moscow and All Russia, website of the church reports. Archimandrite Alexander (Pihach), representative of the Orthodox Church in America to the Patriarch of Moscow and All Russia, officiated at the requiem service. Among those praying in the church were Archimandrite Philaret (Bulekov), vice-chairman of the Moscow Patriarchate’s Department for External Church Relations, representatives of the U.S. and Canada’s Embassies in the Russian Federation, and parishioners of the Church of St Catherine. At the conclusion of the service, when the bells tolled 15 times, those present in the church observed a minute of silence to commemorate the victims of the terror attacks, the official website of the Russian Orthodox Church reports.